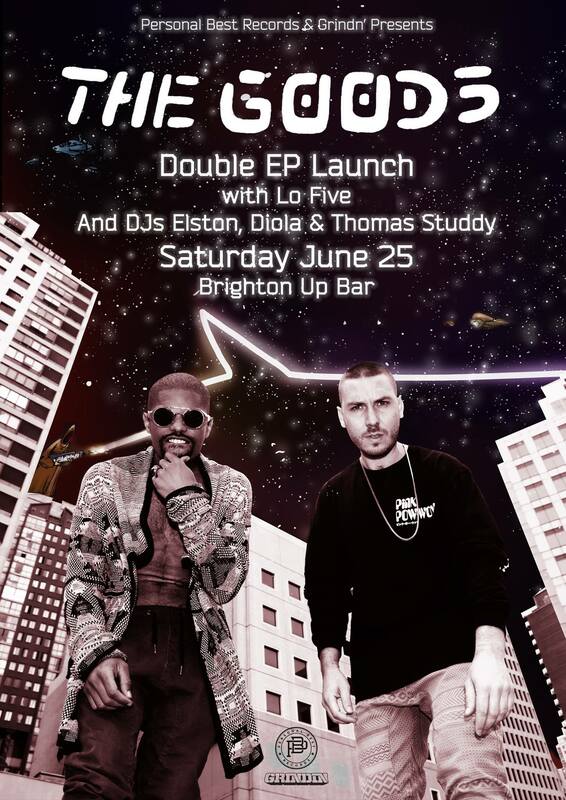 Sydney electronic duo The Goods launch their debut self-titled double EP at Brighton Up Bar on Saturday June 25th. A compendium of songs split in two – one side Bangaltar’s direction, the other D’Awesome’s – The Goods’ long-form debut is a forward-looking, sharply focused presentation. Although they have been jamming for some time as a rhythm section and production team in the vein of Jam & Lewis and Sly & Robbie, when it comes to their original productions, The Goods’ always intended to create tracks individually and then bring them to the table to settle on arrangements and add finishing touches on the productions. This has allowed them to each explore different sounds, Rosario delving into psyched out hip hop, boogie and house, Boris launching into aggressive deep funk and dancehall territory, before bringing it back together at the end to create a sound that is uniquely ‘The Goods’. Bangaltar and D’Awesome are recognised players in their own right, having toured or recorded with the likes of Omar, Touch Sensitive, Daniel Merriweather, Dereb the Ambassador, George Maple and Porsches. Live – they’ve performed at their own parties and supported acts like Onra and Oddisee, having appeared at the award-winning 2015 Vivid Festival in Sydney.